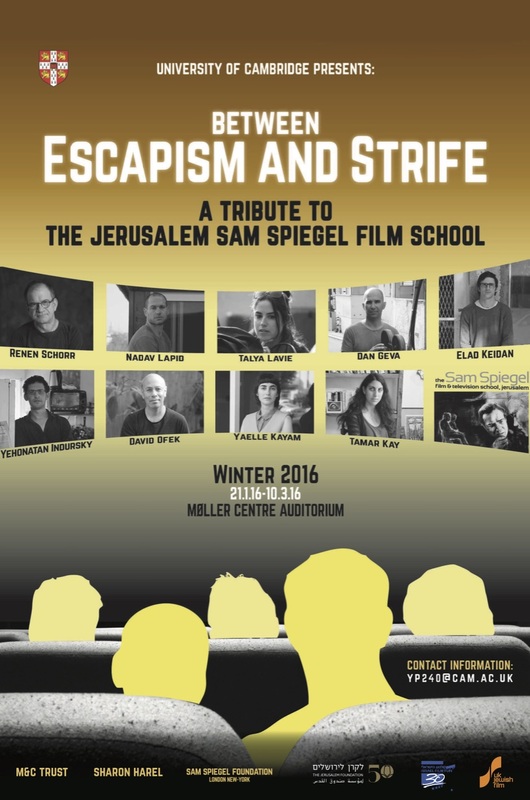 The University of Cambridge will present an unprecedented tribute for the Jerusalem Sam Spiegel Film School to mark the 25th anniversary of the school’s establishment. Under the title “Between Escapism and Strife,” the Faculty of Asian and Middle Eastern Studies will host an eight-session tribute. Beginning January 21, 2016 and each successive Thursday for eight weeks, one of eight outstanding graduates of the school will screen their films, and discuss the social, political and cinematic contexts of the works. The opening event of the Tribute will be held in the presence of the Jerusalem Sam Spiegel School founding director Renen Schorr, together with graduate Tamar Kay, the newly-announced winner of the IDFA Festival for her documentary film The Mute’s House. 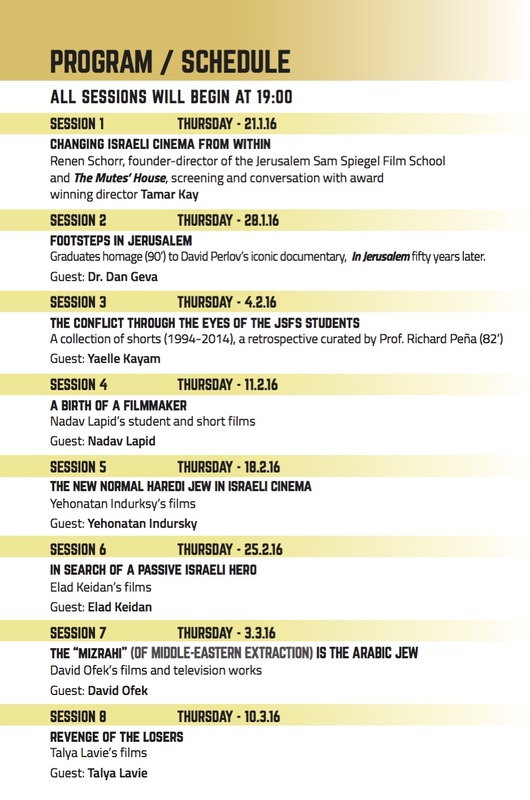 The Jerusalem Sam Spiegel Film School boasts over 700 graduates. The eight that have been selected for the Cambridge Tribute represent filmmakers from the first through the last graduating class. They include David Ofek (Bat Yam – New York, Minimum Wage), Dr. Dan Geva (Footsteps in Jerusalem – tribute to David Perlov), Talya Lavie (Zero Motivation), Nadav Lapid (The Kindergarten Teacher), Elad Keidan (Afterthought), Yaelle Kayam (Mountain), Yehonatan Indursky (Shtisel), and Tamar Kay (The Mute’s House). The Cambridge Tribute is being held through the assistance of University of Cambridge, the Lord Alex Bernstein Estate, Sharon Harel, the Jerusalem Foundation, the Israel Film Fund, and the UK Jewish Festival. For further details, contact: Dr. Tali Artman-Partock, Faculty of Asian and Middle Eastern Studies, ta378@cam.ac.uk; 01223 335333.